The Arctic Winter Games are over and the secret is out: the best skiing of the season at Birch Hill Recreation Area is now. Today at 11:00 a.m. ADT, it was 24 deg F and sunny at Birch Hill but air temperatures had risen above freezing by 1:00 p.m. However, with low temperatures near zero predicted for the river this week, the Sonot Kkaazoot should be able to safely start and finish on the Chena River near the Cushman Street bridge. The plan is for the groomers to head out on Tuesday to look over the length of the river and ditch course sections, and then if they deem the course safe, will groom on Wednesday. 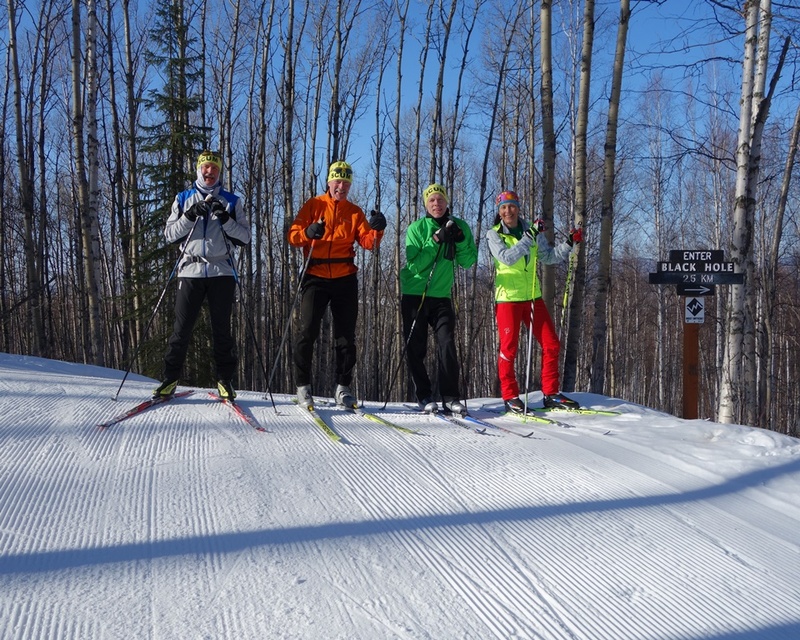 Thus, a final decision on the course will be made before bib pick-up, to be held from 5:00 to 7:00 p.m. on Thursday, 27 March 2014 at the Doyon, Ltd., Headquarters Building in downtown Fairbanks. All 50 km of trails will look this wonderful on Saturday, too. This entry was posted in 2014 Sonot Kkaazoot information and tagged Birch Hill Recreation Area, Chena River by Sonot Kkaazoot. Bookmark the permalink.